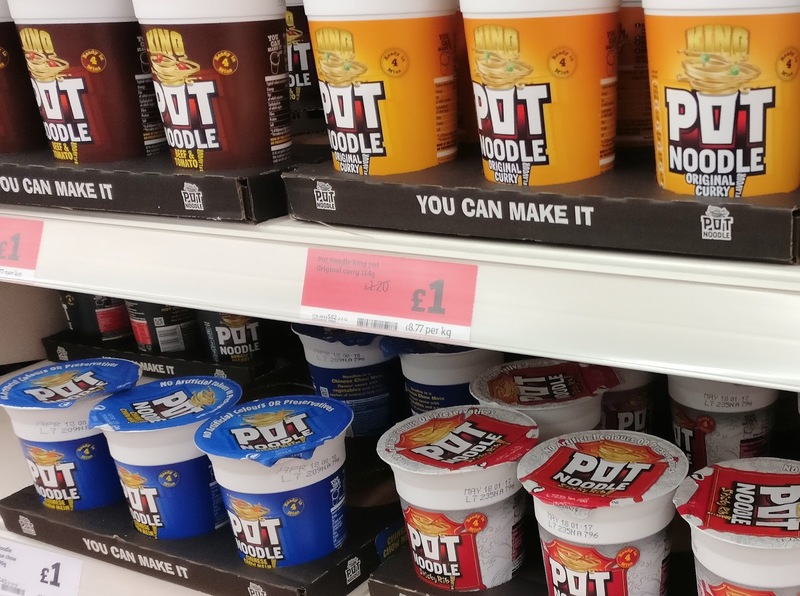 A familiar snack food for students and bedsit dwellers, the Pot Noodle range was launched in the UK in 1977 and quickly became a popular and somewhat notorious product. Instant noodles were invented in Japan in the 1950s with the Nissin Chikin Ramen. The same company then imported instant noodles in a cup in the the US in the early 1970s. This phenomenon had been spotted by Golden Wonder, who then introduced a version of it into the UK in 1977. Preparation is simple enough. Boil a kettle, pour it in, wait a few minutes and stir. Sometimes there is a sauce packet to add. There's a tendency for the noodles to be high in fat and salt, and of course you shouldn't eat them all the time… nonetheless, the Pot Noodle did really open up new culinary adventures if all you had was a kettle. Advertisements over the years ranged from the tame to the highly controversial, but they helped to make the Pot Noodle a rather laddish cult product. Although Golden Wonder sold the brand off years ago, they are still available today and retail for around £1 per pot. Although vintage Pot Noodles aren't really a thing, there's a lively trade in collectable spinning forks and matching mugs to go with your secret noodle obsession if you so desire.